Samhain is the Pagan New Year, when the veil between the living and spirit realms is at its thinnest. Samhain is the Witches highest holiday. Luckily for Pagan families, mainstream culture really embraces Samhain as Halloween, giving us plenty of activities and fun. Trick or treating, letting disguised children run from house to house, demanding candy, is one of my favorite things! (We ascribe to the “eat as much candy as you can for 24 hours” school of thought.) Sometimes I can’t believe our society has allowed this tradition to flourish! My family went dressed mostly as zombies, with a pumpkin baby. On Saturday we made lanterns, had a special Samhain meal, Shepherds pie with scary cheese shapes, pumpkin pie and pinot noir. We set a place at the table for our anscesters and invited them to join us. After the meal, the food was taken outside and placed at the foot of our ancestor tree. 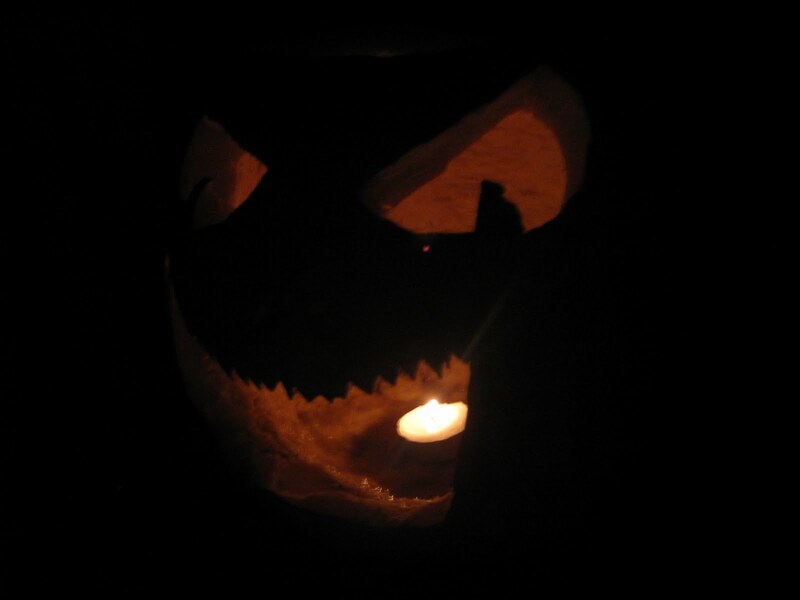 The jack o’lanterns and altar candles were lit. Every Samahain evening we have family divination. In past years this has been with runes and tarot cards. This year we began with black mirror gazing. Then a candle lit glow in the dark ouija board. It was a huge success, but it did cause some difficulty with putting the children to bed! A reminder that their Samhain dreams would be prophetic and a blessing eased things. a bunch of TVP mixed with two cans tomato soup mix, cooked carrots, french cut green beans. Make mashed potatoes. 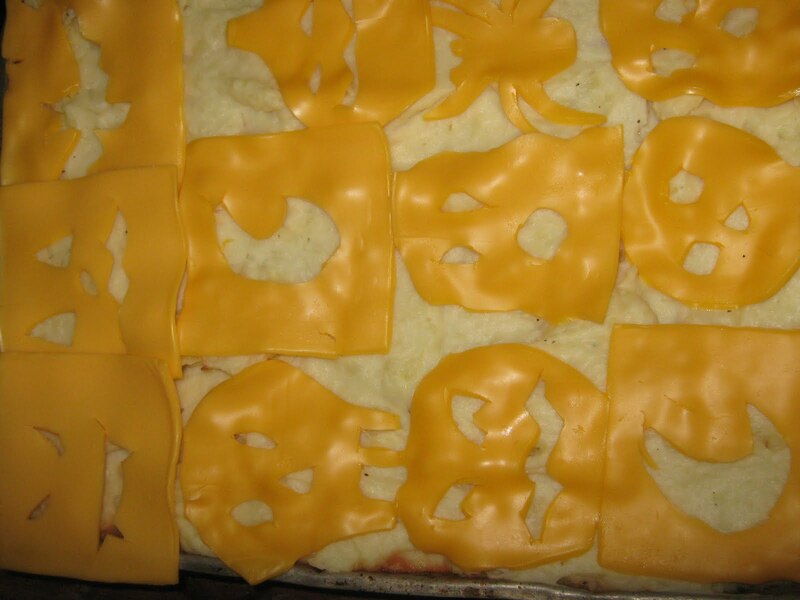 Put TVP, soup and veggies (combined) on bottom of 9″ rectangular pan, layer mashed potatoes on top. Cook at 325 for 25 minutes. Let stand for 5 min. Previous Previous post: This weekend was…….